Don and Cheryl Brenengen of Brenengen Ford in Sparta, Wis.
Keith Kocourek of Kocourek Ford-Lincoln in Wausau, Wis.
Paul Miller of Paul Miller Ford in Lexington, Ky.
Ronnie Watkins of Ronnie Watkins Ford in Gadsden, Ala.
Rick Case and Rita Case of Rick Case Automotive Group in Fort Lauderdale, Fla., received Outstanding Business Leader awards from Northwood University. The awards are given each year to honor men and women for their business achievements and for their exemplary leadership and support of their communities. Rick Case Automotive Group operates 16 dealerships in three states. Since 1982, the Cases have sponsored Rick Case Bikes for Kids, a program that collects donated bicycles and distributes them to needy children through the Boys & Girls Clubs and other charities. 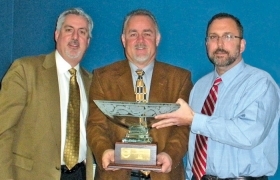 Billy Kundert, center, of Kundert Volvo in Hasbrouck Heights, N.J., receives a 50-year award for Volvo from Jim Raggi, left, Volvo Cars of North America's sales and marketing manager; and Jim McDonough, market manager of Volvo Cars' Northeast region. 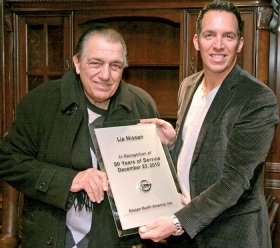 William Lia Sr., left, and Michael Lia of Lia Nissan in Colonie, N.Y., received a 30-year award for Nissan from Nissan North America. 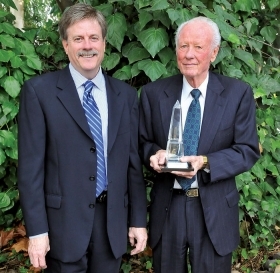 Blake Snider, left, and Paul Snider of Elk Grove Toyota in Elk Grove, Calif., received a 40-year award for Toyota from Toyota Motor Sales U.S.A. The dealership, formerly Florin Road Toyota, moved several years ago from Sacramento. 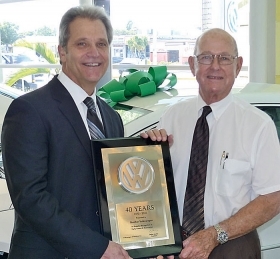 Joe Gunther, right, of Gunther Volkswagen in Fort Lauderdale, Fla., receives a 40-year award for Volkswagen from Don Hughes, Volkswagen of America's Southern region director.